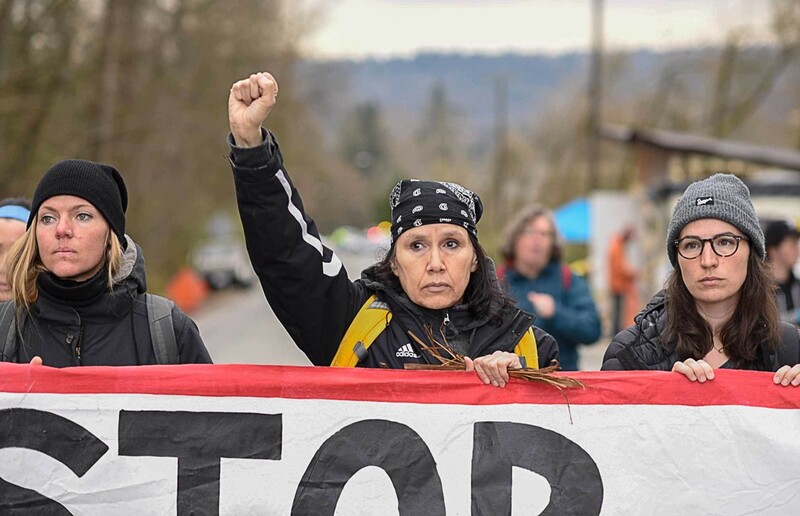 Together, we are building a wave of resistance against the tar sands oil pipelines scarring North America and fighting back against corporate attempts to silence dissent with bullying lawsuits. We stand in solidarity with Indigenous allies to protect water, land, wildlife and the right to protest. Across North America, destructive pipelines are being met with Indigenous-led resistance and solidarity from people around the world — and it's working. Two out of five proposed new tar sands pipelines have now been canceled in the face of legal challenges, widespread public opposition and changing economics. 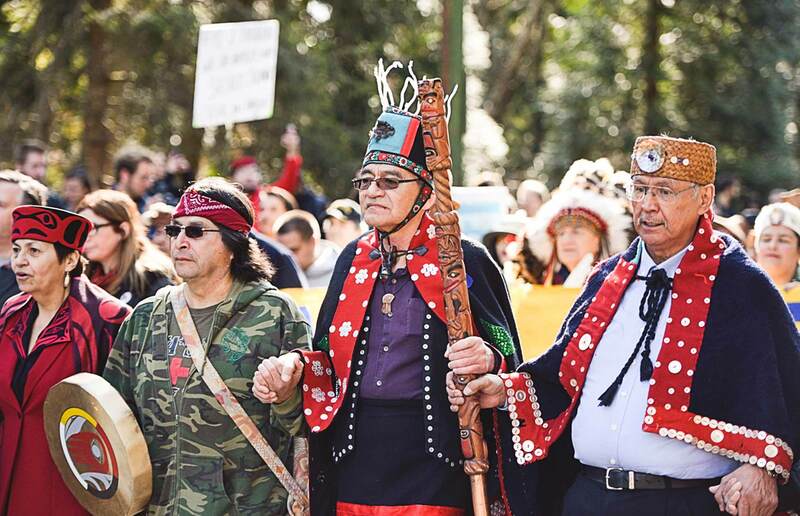 After mass protests, Kinder Morgan halted work on the Trans Mountain Pipeline Expansion, and a month later dropped the project with a bailout from the Canadian government. Banks around the world have scaled back financing for tar sands projects, including BNP Paribas and HSBC, Europe’s two biggest banks. Pipeline companies like Energy Transfer Partners, the company behind the Dakota Access Pipeline, are taking extreme measures to stop people from protecting their land, water and Indigenous rights. In this case, they’re waging a baseless $900 million dollar lawsuit against Greenpeace and others. Energy Transfer Partners wants to drain the resources of anyone who disagrees with them and intimidate those who dare speak out. But these dirty tricks and attempts to divide the movement will only make us stronger. Pipelines cost millions of dollars to build, and oil companies rely on banks for that money. But together, we can make sure that banks don’t lend to companies that want to wreck our climate. Already, massive banks like HSBC have pulled out of these projects — but we need more to follow suit. Sign the petition today and ask banks to not fund these risky pipelines. ETP is suing Greenpeace and Earth First for $900 million. The case is meritless, but that’s not the point. Throwing the book at us costs us our money and our time. But they’re not counting on you. We need you to put the pressure on the ‘Dirty Dozen’ banks by flooding their social media with the feedback they deserve for funding toxic pipelines and violating human rights.